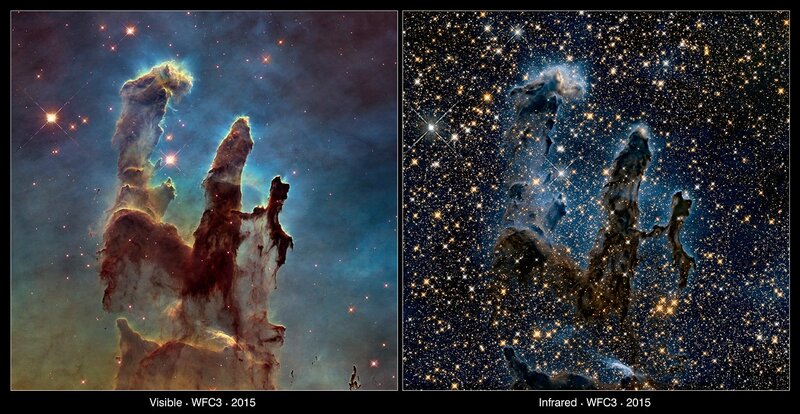 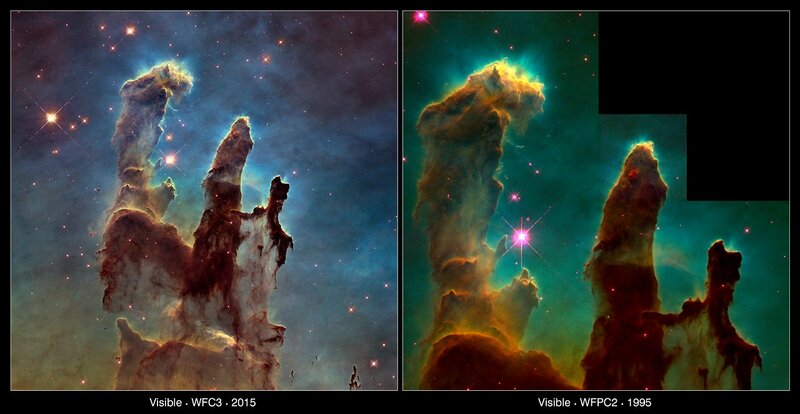 In addition to this new visible-light image, Hubble has also produced a bonus image. 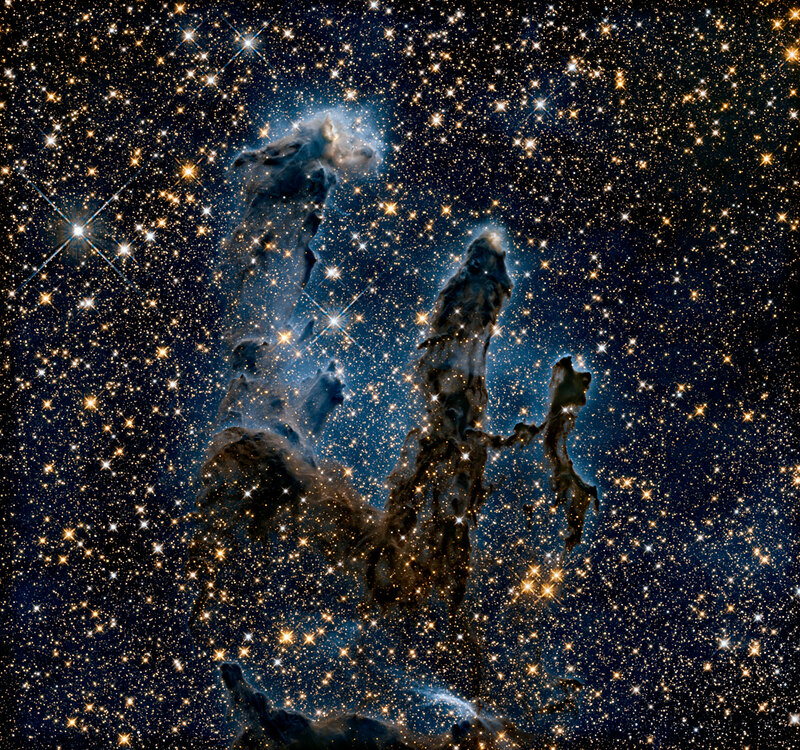 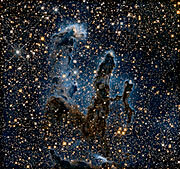 This image is taken in infrared light, which penetrates much of the obscuring dust and gas and unveils a more unfamiliar view of the pillars, transforming them into wispy silhouettes set against a background peppered with stars. 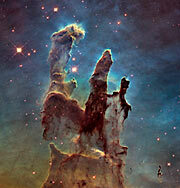 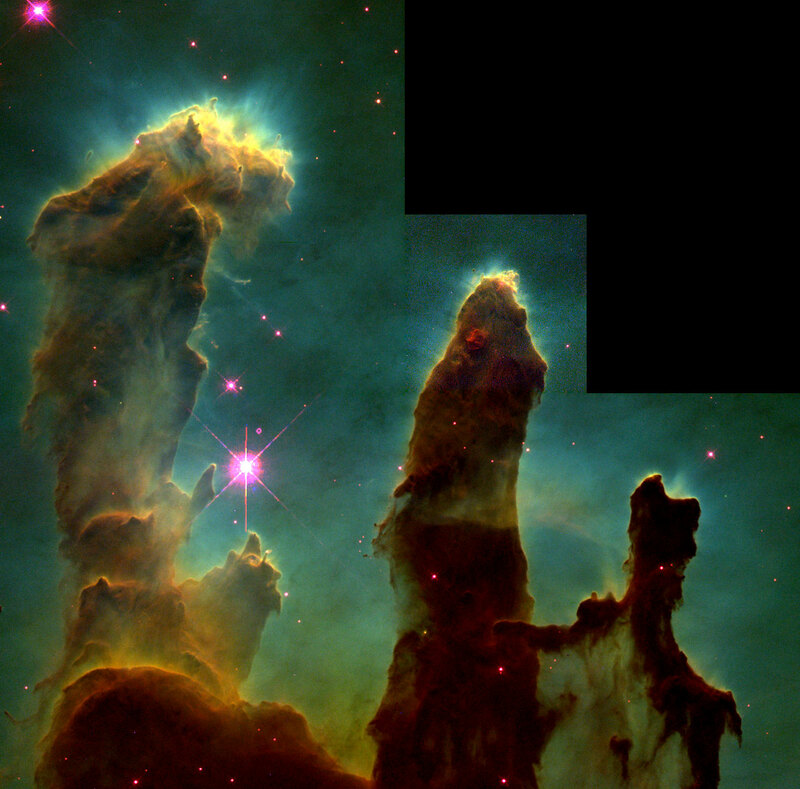 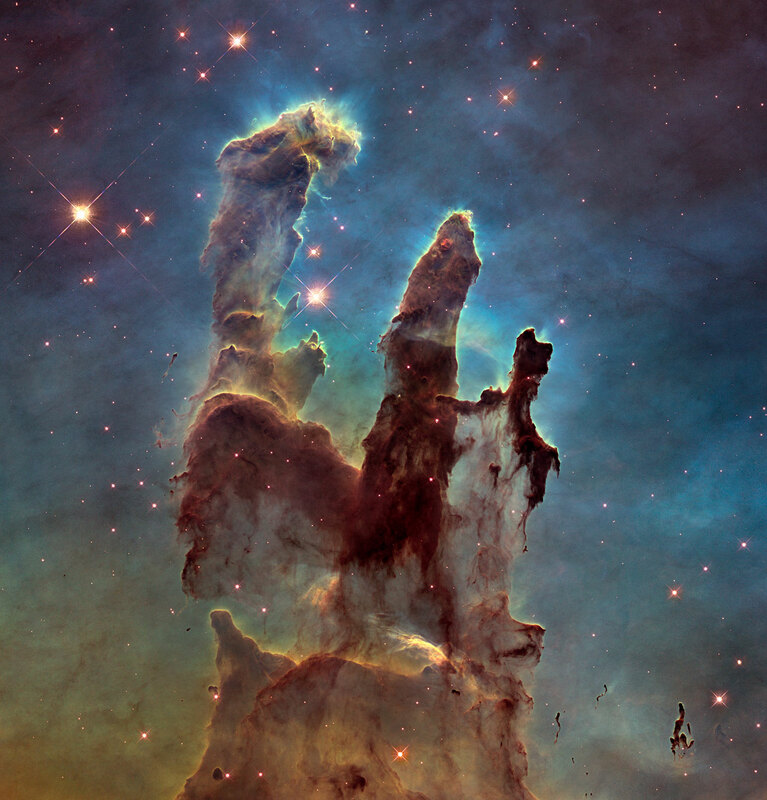 Here newborn stars, hidden in the visible-light view, can be seen forming within the pillars themselves . 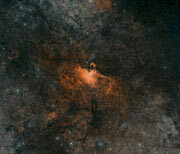 There is evidence to suggest that the Sun formed in a similar turbulent star-forming region to the one we see in this image.